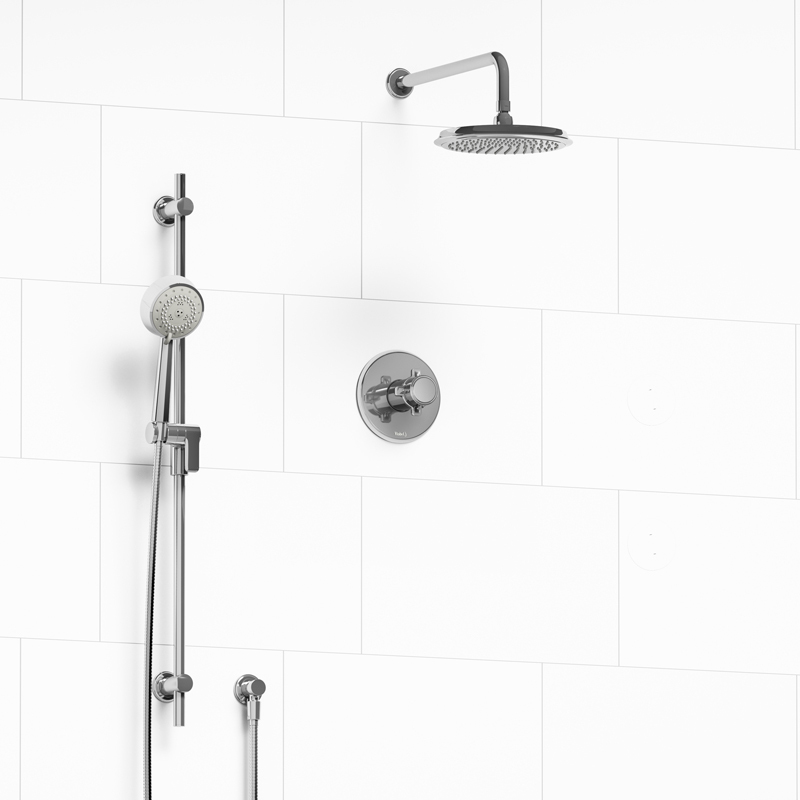 Riobel Retro Thermostatic Valve, Slide bar & Rain Showerhead. 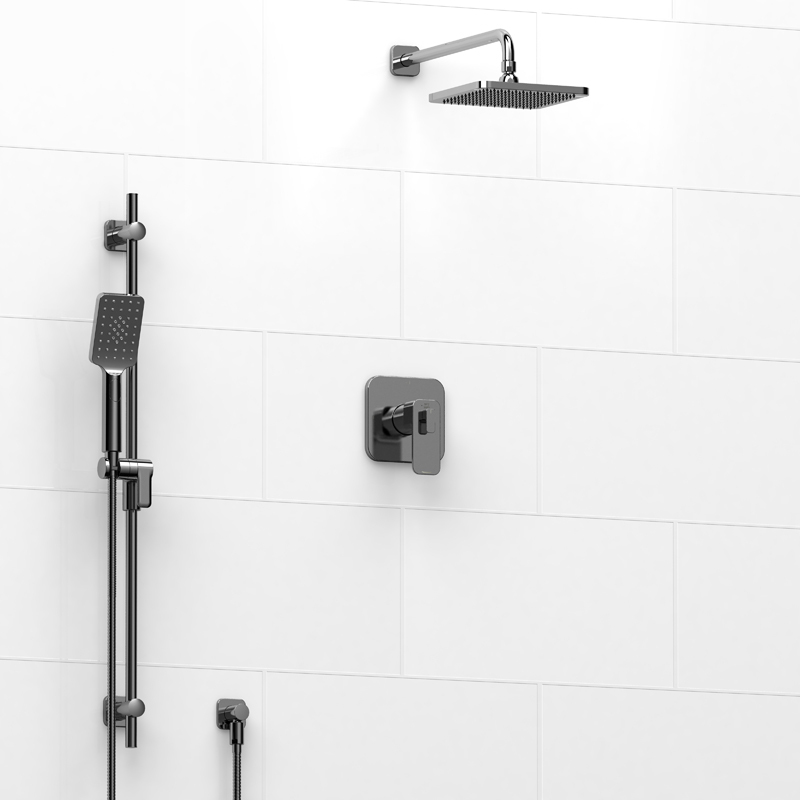 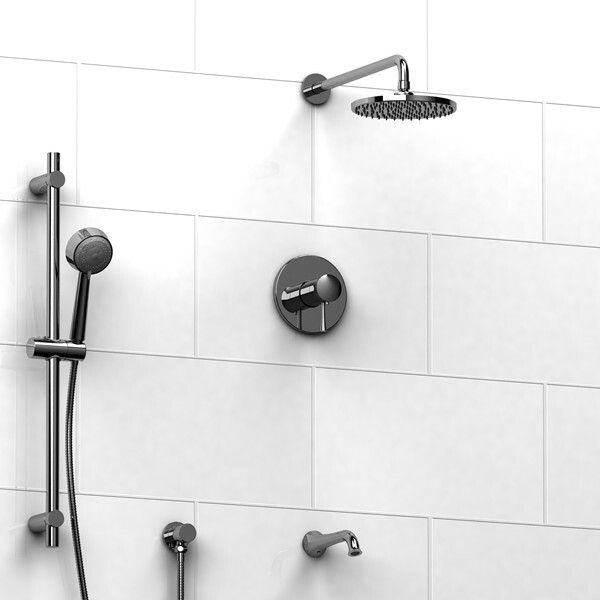 This Shower System is available in other finishes. 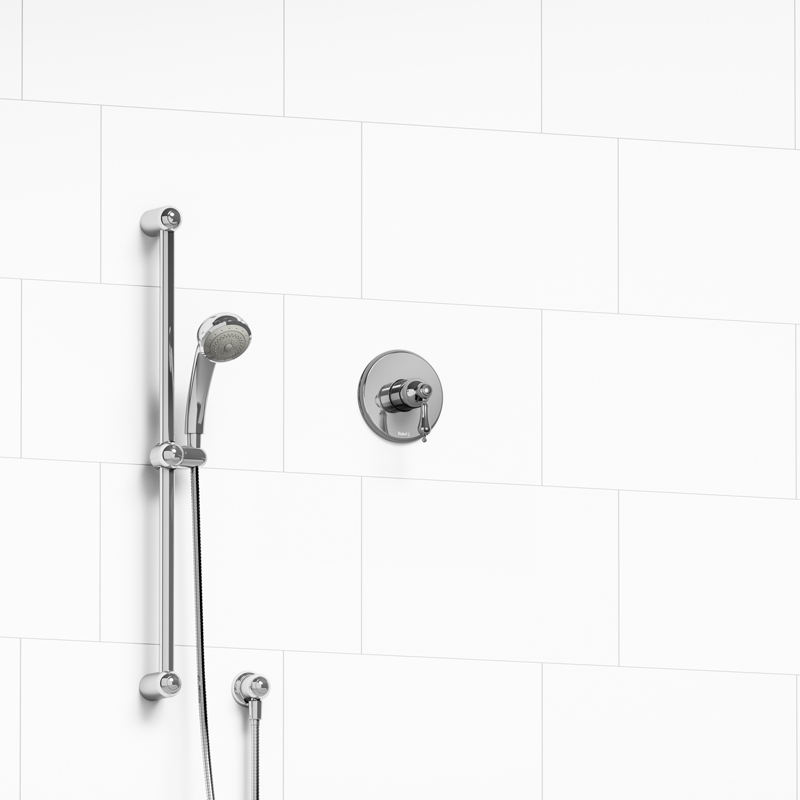 Riobel Classic Pressure Balance Valve & Slidebar. 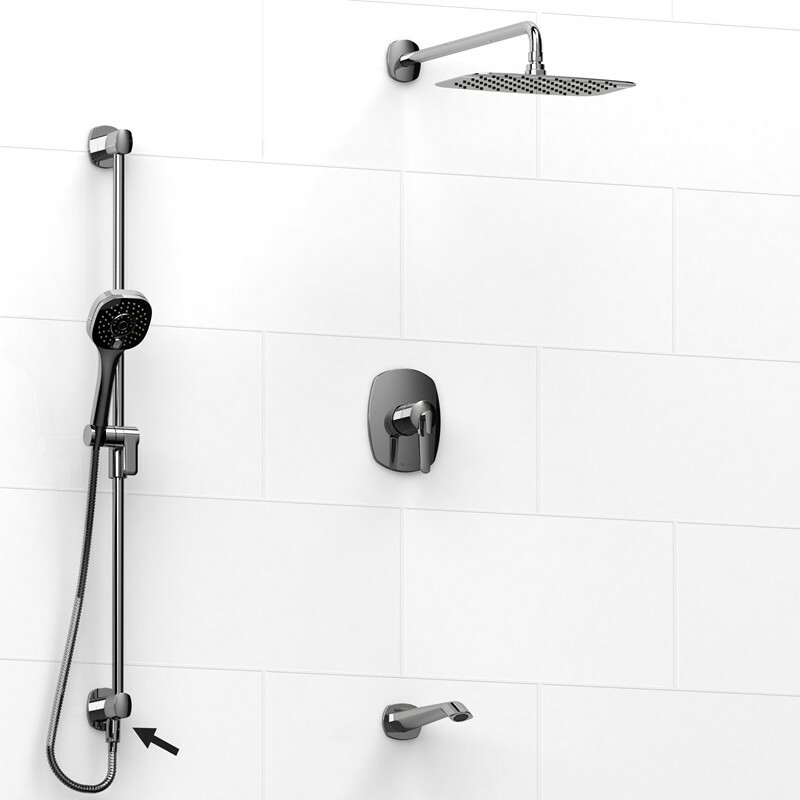 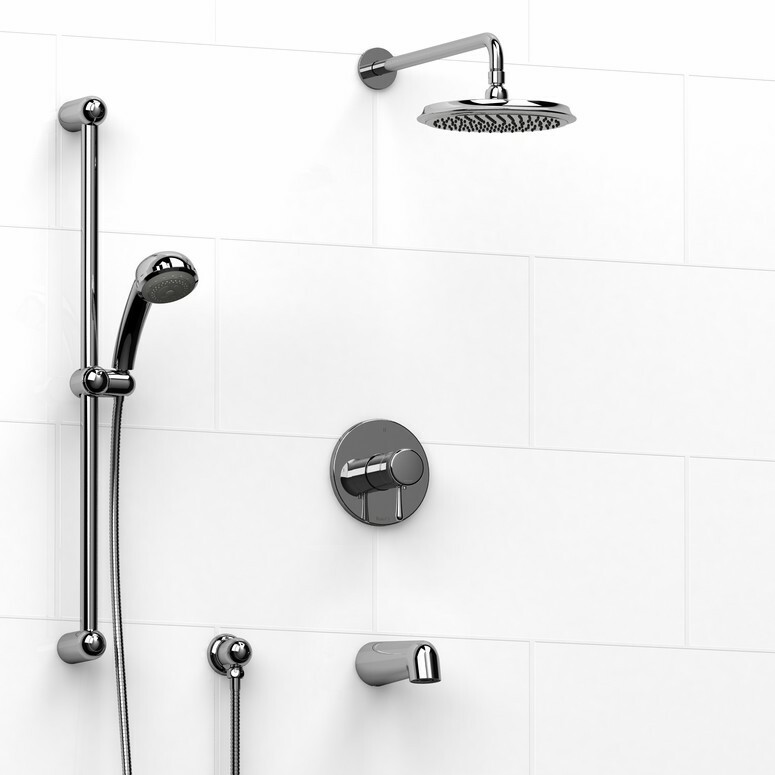 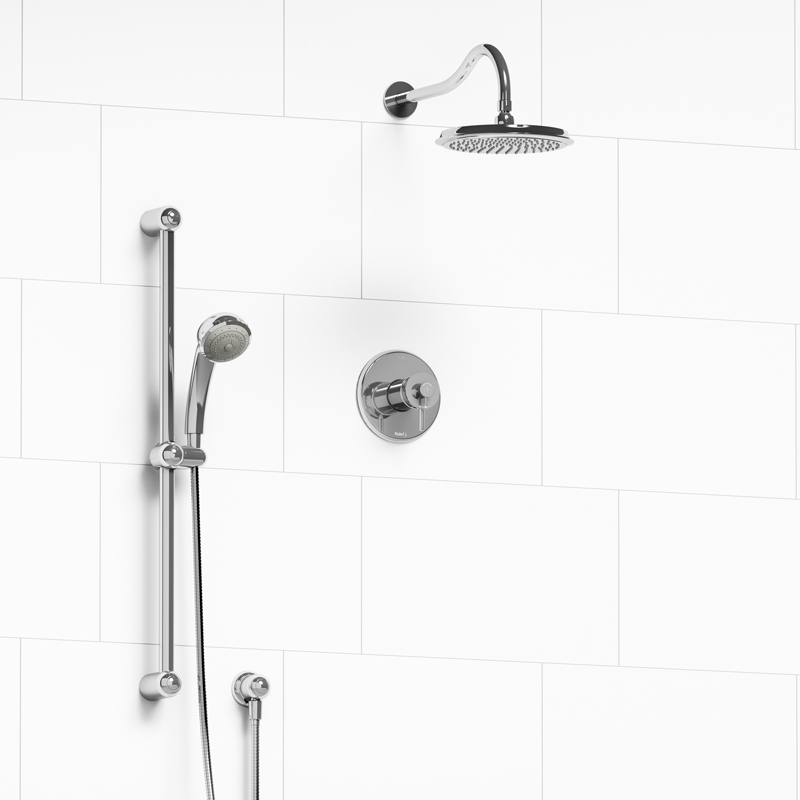 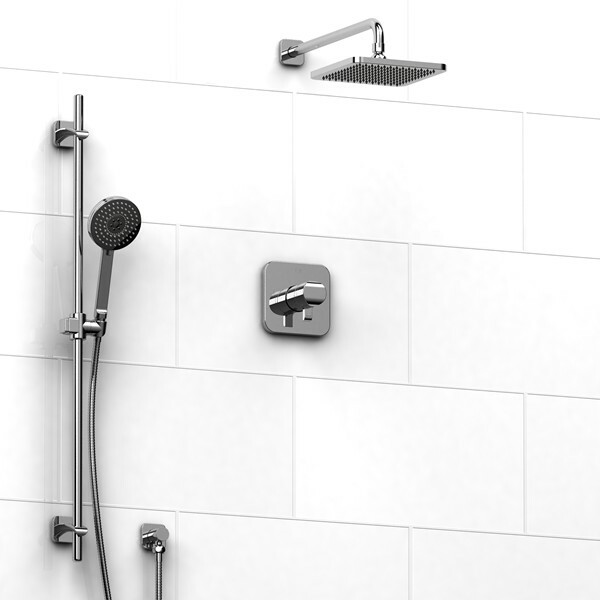 Riobel Salome Thermostatic Valve, Slidebar & Ran showerhead. 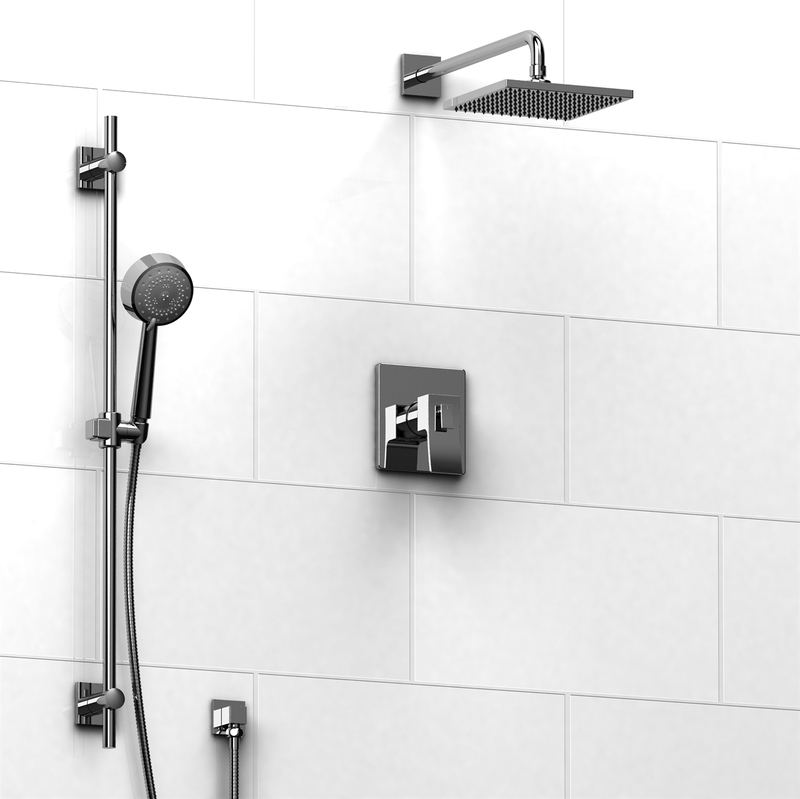 Riobel Momenti Thermostatic Valve with slidebar & Rain showerhead. 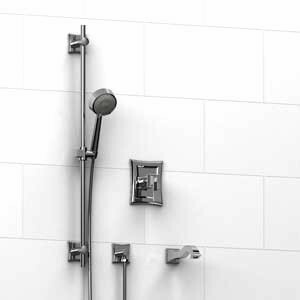 Riobel Edge Chrome Thermostatic Valve with Slidebar, Rain Showerhead & Tub spout.